If you have never danced tango before, would you book into an intermediate class? Same example applies when choosing a Pilates class. Pilates exercise was created by Joseph Pilates who was influenced by professional dancers, gymnasts and athletes. The repertoire is complex and requires mastering. Very few actually get to master the advanced repertoire. Very often people who are very fit but have never done Pilates sign up for an intermediate reformer class for the first time. Seems like they expect beginners classes to be slow, boring, and only for those who are not active or have back pain. Although there is some truth to the fact that many sedentary people with back issues tend to come to beginner classes, the truth is, you need to start from the beginning. First of all, beginners classes will teach the proper technique and basic principles required to progress to the next level. The most common mistake people make is when they are newcomers to Pilates and still try intermediate classes for the first time. Usually what ends up happening is that they get lost, perform the exercises poorly and don’t get the full benefit of the workout. Rather, such novices who book into intermediate classes do not get to feel the right muscles due to poor execution and lack of proper technique. Additionally, there is the danger of injury when not executing the exercises properly. Likewise, anyone who tried an intermediate fencing class without ever doing fencing would likely run the risk of injury. The complex choreography the classical Pilates repertoire is not mastered in a single class. One needs to learn the basic repertoire in order to progress to more advanced levels. Dynamic reformer is different to the original Pilates workout. Although the Dynamic reformer classes do not follow the choreographed classical Pilates repertoire, there is a minimum level of technique in their beginner classes and as such, it must not be ignored. The bottom line is, if you have never done reformer classes, whatever the style you chose, you must attend the beginners classes if you want to get the best out of the workout. 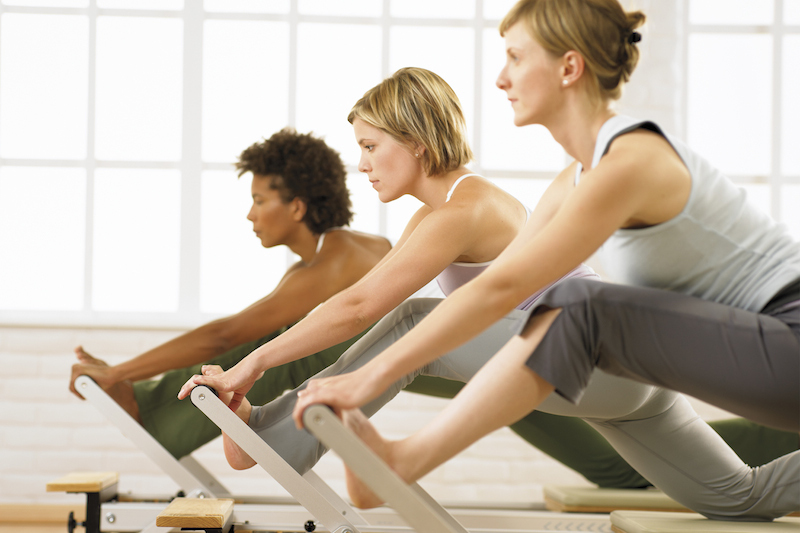 Click here to see our timetable and book your Pilates class.